Star Fox 64 is one of the most beloved games available on the Nintendo 64. It helped make Fox McCloud a household name & is just one of the many reasons the N64 is considered by many (me, included) to have the strongest catalogue of games of any console release. 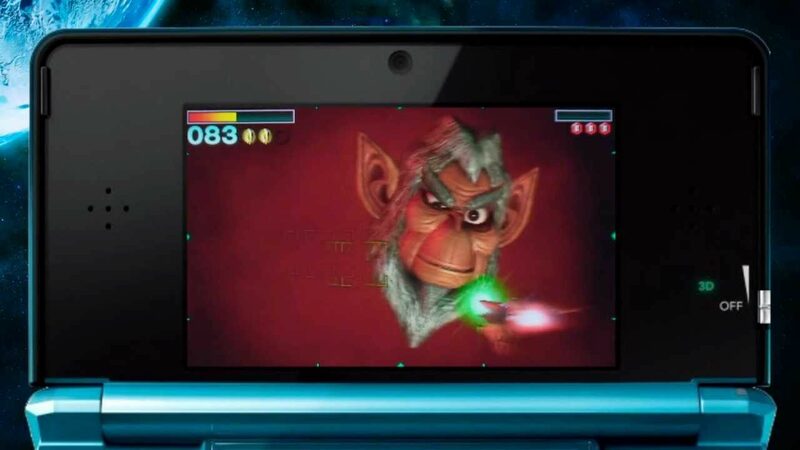 The Nintendo 3DS has seen a few high-profile remakes in 3D but none more exciting & with as much potential as Star Fox 64. From the moment the game loaded up & that fantastic menu screen music started playing I knew I was going to love the game. It’s revisiting an old favourite but with updates that improve & enhance the experience. The story is based around the Star Fox team who are out to save the Lylat system. 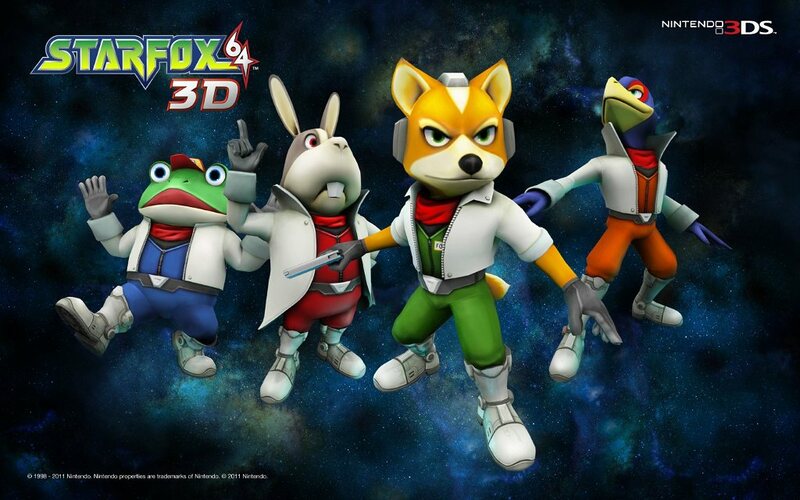 The team are a group of mercenaries consisting of Fox McCloud, Peppy Hare, Slippy Toad & Falco Lombardi. The group go up against Andross, a mad scientist who is out to take over the system aided by the Star Wolf mercenary team & all manner of enemy troops. 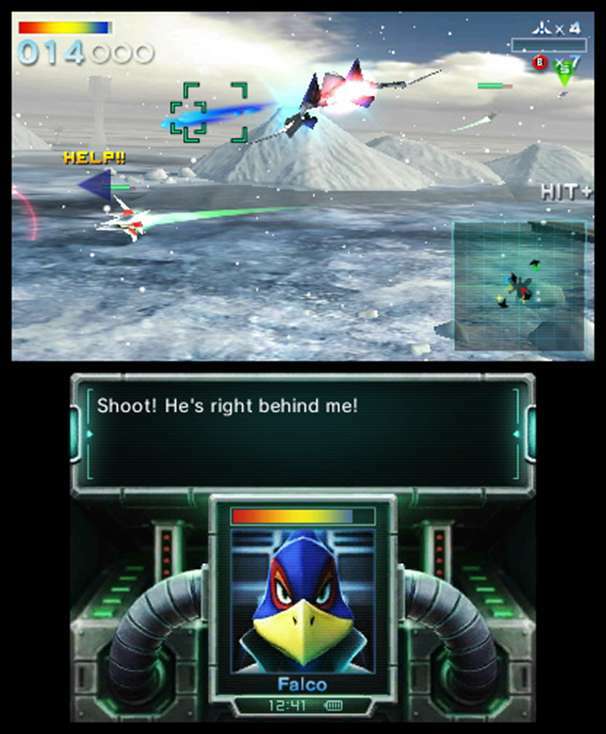 Star Fox 64 3D is a shooter game that puts you in control of Fox McCloud as he pilots an Arwing (for most of the game). Played out in 3D corridor mode, the path is set with slight deviations allowed except for boss battles that give you more freedom in a large arena (called all-range mode). You can move around the screen to dodge in-coming obstacles & shoot enemies as they come at you. 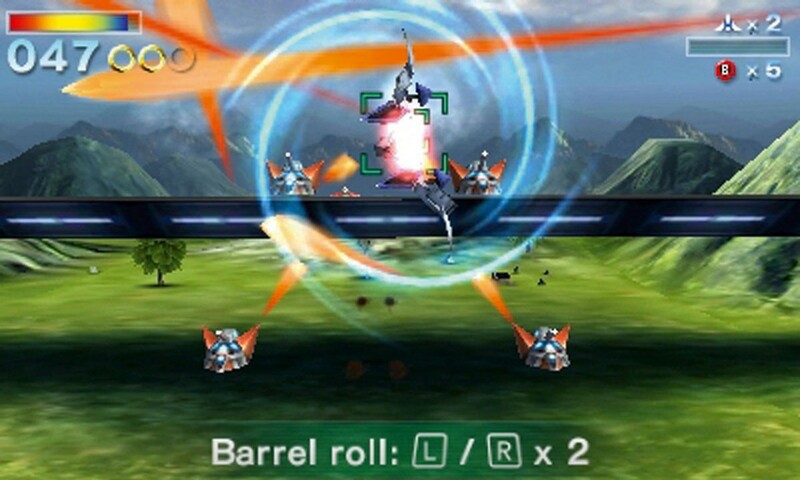 The Arwing in particular is very versatile allowing you to somersault, slow down, speed up & barrel roll to dodge & deflect enemy fire. Levels are broken into planets within the Lylat system & feature multiple branching paths. Starting at Corneria & ending in a final battle with Andross it’s up to the player how they get there. Unlocking different paths require you to complete certain objectives & each new level is wildly different from the last. The variety within Star Fox 64 3D will see you wanting to seek out all the different paths just to try out every level & get the full ending (well worth it). Levels range from flights through a city under attack to flying through an asteroid field. To add more variety, on occasion Fox will get out of his Arwing & pilot a different craft, the Landmaster (a tank) and the Blue Marine (a submarine). These levels aren’t as much fun as Arwing based ones but thanks to the improved controls on the 3DS far less frustrating. Enemies are defeated by laser cannons that can be upgraded as the games goes on, fly through a power-up & your lasers will improve vastly. You also have a limited supply of smart bombs that can be detonated after firing. More can be found throughout levels as well as silver rings to heal while collecting 3 gold rings will improve your shield. The enemies & hazards are numerous but Fox doesn’t fight alone. The rest of the team will help out during stages (Slippy scans bosses showing their shields, Peppy offers advice & Falco can find alternative routes) & often need rescuing as they are chased down by enemies. It’s is worth helping them out because if they take too much damage they will be unavailable for the next mission. Boss battles are a lot of fun as you take on over-sized enemies that require a little more thinking than just blasting away. The all-range battles are also really well done especially when in a dog-fight with the Star Wolf team. The N64 controls weren’t the best but we all learned how to get the best out of them, here the 3DS controls are perfect. Responsive & easy to manage…the game has never felt this good. Players can also use the ‘gyroscope’ controls to pilot the Arwing too (effectively motion controls) but I found this awkward & took way more damage than I would normally. The bottom part of the screen is used for incoming messages mainly with an alert requiring you to tap on the screen to hear them. It can be a bit awkward in the heat of battle though. 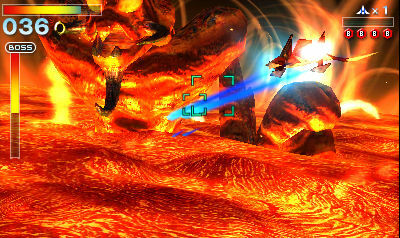 Star Fox 64 3D has a multi-player mode, up to 4 players but no online mode which is disappointing. An online mode where you battle it out with players across the world in arenas would have been amazing. Lastly the 3D when turned out to look amazing, probably the best I’ve seen on the 3DS so far. The game is perfect for it as enemies & obstacles come at you actually adding more to the experience rather than taking away from it. If I had any complaints it would be that the game is pretty easy & without the branching paths it would only last a handful of hours at most.